I had the pleasure of meeting Gaye Lub in 2010 when I was invited to travel with the Lub clan to Burning Man for my first time. As matriarch of the incredibly talented family, Gaye welcomed me, a complete stranger only familiar with her daughter Sonia, with flowing golden hair and open arms into their fold feeding me gorgeous homemade soups and sharing her home in a particularly enchanting sprawl of Northern California field and wine country where she held artistic court making art in her studio while her talented children were also nurtured to freely express themselves and fostered in their own creative pursuits. I left the whole experience feeling like I had been adopted by a fairy godmother of wisdom and strength and have remained captivated ever since. Gaye’s career as a stained glass artist began in the 1970s and she became renowned for architectural glass internationally. In the early 1980s she pioneered an industry sand carving and hand painting large wine bottles for wineries and corporate clients. But inwardly her passion has always reigned strong in social consciousness shared by her husband Sergio Lub who created Friendly Favors, perhaps one of the nation’s first social networks for progressives, spiritualists and thinkers on the level of bartering and referrals in exchange for being slave to currency. During the 1990’s she had the opportunity to participate in archeological expeditions in the Middle East, Far East, Central and South America with the late scholar and author Zecharia Sitchin. There she saw evidence of sophisticated ancient cultures and noticed contemporary conflicts from different sides of many cultures. 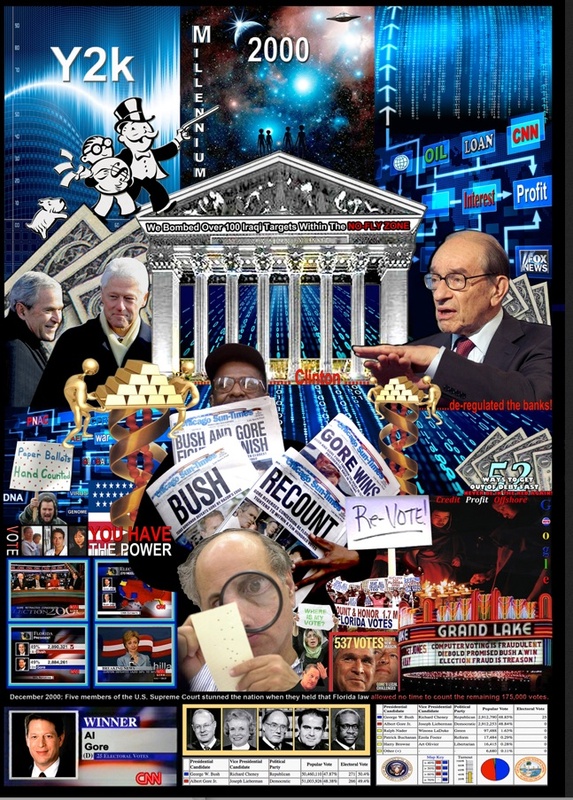 These images turned into her most recent artwork “American History 2000 – 2012″ which debuted as an exquisite, large-scale artwork that was exhibited at last year’s Burning Man in the Fractal Nation camp. I spoke with her recently about this incredible piece. What originally compelled you to take on a piece of this breadth? When 9/11 happened I was obsessed with images we were seeing. You could not get away from them because they were everywhere. I started collecting magazines and newspapers and putting them in boxes. In retrospect I felt if I put the images in boxes I would not have to hold the drama of what I was seeing inside of me. In 2011 I found a note that I wrote my husband in October 2001. It read; “There is more going on here. First 9/11, than Anthrax, now the stock market is falling. We can’t catch our breath”. How did you go about compiling your images and how did that process inform the final piece? I never stopped collecting images since 9/11. I ended up with a wall of boxes. I realized around 2003 that I was going to do something with this media. 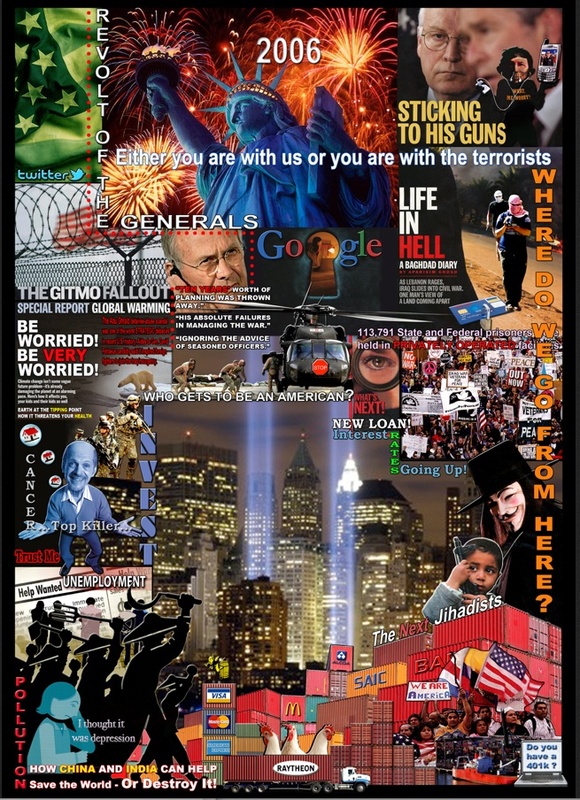 I made two collages about 9/11. I realized around 2006 people remember 9/11 but they were forgetting what happened in 2000, 2002, 2003, 2004 and 2005. In retrospect I wasn’t sure what had happened. So many changes were going on that we couldn’t see straight. We only had time to react. After putting this collage together I am aware of patterns of P.R. and news media behavior that affected our emotional patterns. As I scanned images into my computer I was also reading the articles associated with the images. I started researching the information I was reading and put together data bases that explained statistical information on what happened to America, who were the decision makers, who financed them and who benefitted. Uh! Oh! What questions and provocations do you hope to evoke from the viewer? I want people to remember. I want people to not feel guilty. I want people to ask why. What was your experience like showing this at Burning Man and what were some of the more powerful experiences and interactions that you had there as a result of this unveiling at Fractal? I could not ask for a better experience being involved with Fractal Nation – Burning Man 2012. Fractal Nation was outstanding in preparing the location and making installation and breakdown easy. NOTE: This is Burning Man. We had some challenging weather. The camp was seriously entertaining and accommodating. I feel grateful for the opportunity to be a participant and publicly debut “American History 2000 – 2012” at Fractal Nation. Seeing the panels side by side in chronological order was a powerful experience for me personally. NOTE: It spans sixty feet. Each Panel is multi-layered. The more you look the more you see. It’s interesting to notice what are the first layers you respond to when you first view it. I really enjoyed watching people experience it. From a distance it looks like Americana, whimsical, colorful. As you get closer people recognize images and words. This project invokes memory and conversation. People remember where they were and whom they were with when key events happened. They talk about how our current U.S. history has influenced their lives. It’s powerful to witness. The response I hear is “Thank You”. What is the main message of the piece and do you think it has been a successful one? Main Message: Pay Attention! Be more conscious of the world we live in and make thoughtful choices. Successful: Yes! No! Not Yet! It’s a powerful collection with a lot of information. It’s best seen full scale, side by side. This is a large area to find venues for exhibition. It’s not complete. Currently there are 13 collages. 2012 will be the fourteenth and end of this series. Ask me the same question next year. Where is the piece now and what is the next stage of its life? Currently the panels are on display in my studio. I am concentrating on finishing 2012. My goal is to have the 2012 collage finished in March 2013. I’m speaking at Sonoma State University in March and want to include the 2012 panel in my presentation. I’ve been submitting portfolios to museums and galleries nationally. My goal is to have them in public view. They need to be seen. Why do you feel compelled (as a successful artist yourself not necessarily known for this particular medium) to deliver this message in your work? Interesting question! 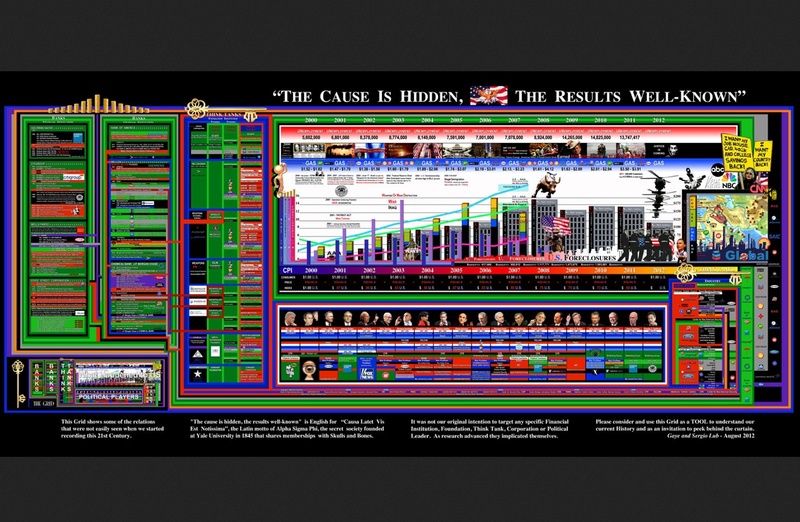 “American History 2000 – 2012” is a tool to understand what happened. It represents significant images and words used by the U.S. Media and P.R. firms during the past 12 years. We saw these images in magazines, newspapers and tabloids, on television, billboards and the Internet. It tells our story. I am giving back what we received. Think about it. These panels visually remind us that we watched 9/11, went to war, learned about the Middle East and learned new words like Al-Qaeda, Taliban, Weapons of Mass Destruction and War on Terror. We got easy credit. Consumerism skyrocketed and than the credit ran out. We lost our jobs, our new or refinanced homes, our pensions and dreams for the future. Unemployment skyrocketed; budget cuts hit all sectors of our lives. We realized that the stores we shop in are filled with imported items and question what happened to American factories. We hear that Global Warming is real, our food is being genetically altered and our health is challenged. We found out that there were NO Weapons of Mass Destruction. “No Draft” means were going to outsource and the population is not 100% convinced that there was a plane that actually hit the Pentagon. At a time when we are involved in two credit card wars, our nation’s financial structure is collapsing as military spending increases. Who benefited: The Weapons Industry, Pharmaceutical Industry, Oil Industry, Banking Industry, Shipping Industry and Overseas Manufacturing. I don’t feel our government benefited except for a few individuals who I call War Profiteers. The Media Industry sold us the idea that what was happening was OK! Or encouraged us to look the other way because it felt better. It was an emotional pull of strings that has had serious consequences. I feel I am part of a collective force trying to convey another version of the truth. There are many artists, filmmakers, researchers and writers trying to convey that things are not OK! NOTE: These panels have been tagged political. Political makes you feel you have to choose a side. I feel “American History 2000 – 2012” is cultural and social. We as a nation are struggling to re-identify ourselves. What is the artist’s role today in social messages if there is one? Artists translate what they feel. Our experiences allow us to express our reactions, allowing people to see the world from different points of view. My experience teaching art classes is that most people see first and hear second. Visually, imagery is a part of our everyday life. We are bombarded with visual imagery. If a visual artist has a social image they want to convey it’s because they are stimulated to express themselves with intention that others will recognize what they are feeling. We need justification that we are not alone in the experience. So I feel the artist role in social messages created in their medium is to get viewers to recognize that there are different versions of reality and that our options are changing. Challenging which version of reality we want to live in. What is your overall mission as an artist? Be kind. Tell the truth. Eat good food. Why is the political and social environment in the world of concern to you in such a way that it compelled you to make a vast artwork about this subject? I want to know the truth. Who killed JFK? I’m questioning different versions of reality verses theatre. Politically we are divided. Socially we are awkward. There are a lot of bullies, prejudice, truths and lies in our political and social environments. I have a passion for studying ancient history. Preferred timetable B.C. 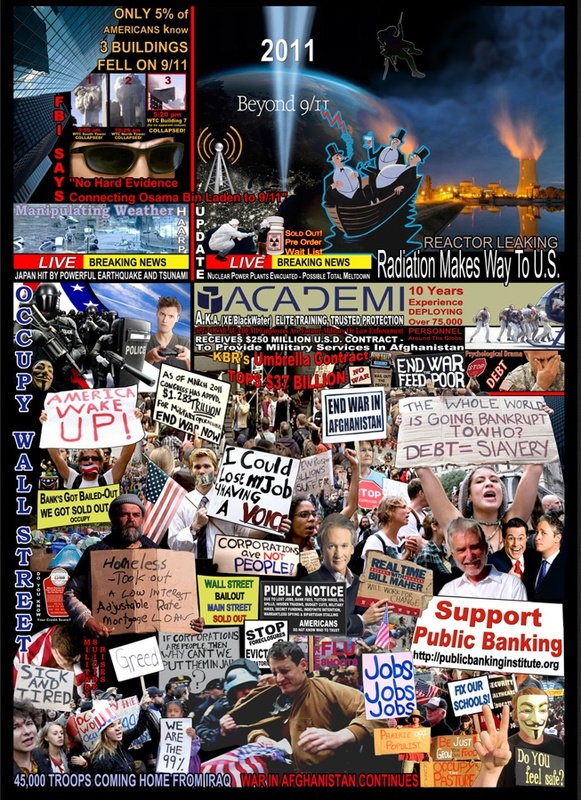 Conflict patterns we are experiencing today have been going on for 1000’s of years. I ask myself WHY? What have we learned? We have a rule of thumb in our family. If you have a question, try to find a solution. Maybe that’s why “American History 2000 – 2012” was created. I’m trying to find a solution to why are we still experiencing severe conflict patterns. When I get the answer I’ll let you know. How long did this piece take overall? I collected images for 13 years. In October 2011, I sat down and started seriously putting these collages together. I worked 60 to 80 hours a week for months and finished the first edition in August 2012. Just in time for Burning Man. How does your life intersect with the social and political community and why do you feel that is important? I’m married to the “Cosmic NetWorker”. Through Sergio’s endeavors we’ve had social and political communities walking through our doors for 27 years. I couldn’t get away even if I wanted to. Not Kidding! Sergio has enriched my life. Being aware of what’s going on around you, having the opportunity to travel and experience other cultures, witnessing him coordinate hundreds of social events, bringing communities together has been a gift. Being able to give back is my way of saying Thank You! “American History 2000 – 2012” is available to download online, open source, free. 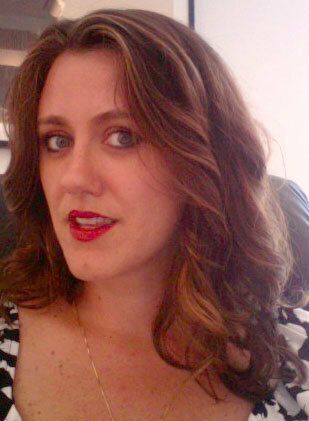 Newtopia managing editor KIMBERLY NICHOLS is author of the book of literary short fiction Mad Anatomy, a contributing editor to 3AM Magazine and has exhibited as a conceptual artist throughout California for the past decade. 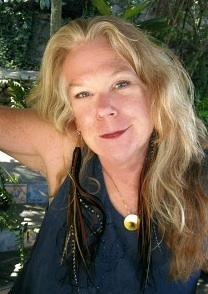 Her non-fiction articles have appeared in magazines and media internationally. She was a founding editor of Newtopia in its former incarnation where she was also a member of the NewPoetry Collective. She is currently at work on her novel King Neptune’s Journey and an art work titled The Fool. She has recently embarked on a journey of study in shamanic and medicine lore and wisdom under a series of respected teachers. Follow her daily beat poetry on Twitter @LITGFOA or her arts and literature blog.